Duluth, Minn. (31 October 2016) – Cirrus Aircraft today announced the arrival of a new era in personal transportation as the Cirrus Vision® Jet – the world’s first single engine Personal Jet – achieved FAA certification. With this milestone accomplishment, the Vision Jet ushers in a new category of aircraft that delivers an unrivaled pilot, passenger and operator experience, and certification paves the way for initial customer deliveries in 2016. The Vision Jet defines the new single-engine Personal Jet category by its spacious, pilot and passenger-friendly cabin with expansive windows, reclining seats and comfortable legroom that can accommodate up to five adults and two children. The cabin is complemented by the proprietary Cirrus Perspective® Touch™ by Garmin® flight deck, which delivers a wide array of highly sophisticated, easy-to-use global navigation capabilities and safety features to the pilot at the touch of a finger. Powering the Flight-Into-Known-Ice (FIKI) approved Vision Jet is a single, smart FADEC-controlled Williams International FJ33-5A turbofan engine. The Vision Jet joins Cirrus Aircraft’s innovative product portfolio, which currently includes the SR-series of high-performance piston airplanes – the best-selling aircraft in the world for 13 consecutive years – with over 6,500 aircraft operating in over 60 countries. Cirrus is best known as “the plane with the parachute,” as the only General Aviation manufacturer that has incorporated a certified parachute designed to support the entire airplane as a standard safety feature in its aircraft. Known as the Cirrus Airframe Parachute System, or CAPS, the most innovative safety system in GA has returned more than 140 people to their families following emergency situations. A version of CAPS will also be a standard safety feature in the Vision Jet. Initial customer deliveries of the Vision Jet are scheduled to begin in 2016, with production ramping up throughout 2017. The Vision Jet, along with the world’s best selling high-performance piston airplane, will be on display at the NBAA Business Aviation Convention and Exhibition, 1-3 November in Orlando, FL. Cirrus Aircraft is a recognized leader in general aviation. Its all-composite line of personal aircraft – the SR20, SR22 and the turbocharged SR22T – incorporate innovative and advanced performance, electronic and safety technologies, including Cirrus Perspective™ by Garmin® avionics and the unique Cirrus Airframe Parachute System® (CAPS®). To date, total time on the worldwide Cirrus Aircraft SR-series fleet surpassed seven million flight hours with 142 people returned to their families as a direct result of CAPS being a standard safety feature on all Cirrus aircraft. The Cirrus Vision Jet, with almost 600 production positions reserved, will provide a new personal and regional business transportation solution: the personal jet. The Vision Center in Knoxville, TN will be the flagship location for all Cirrus Aircraft Customer Experience activities including sales, delivery, training, maintenance, support, personalization, fixed base operations and more. All Cirrus aircraft are made in the U.S. with a direct sales force in North America and authorized sales centers covering export markets in 60 countries around the world. Cirrus Aircraft is wholly owned by China Aviation Industry General Aircraft Co., Ltd (CAIGA). Referenced Cirrus trademarks are owned by Cirrus Industries, Inc. or its subsidiaries. All other brands, product names, company names, trademarks and service marks are the properties of their respective owners. All rights reserved. For additional information on Cirrus and its products please visit cirrusaircraft.com. congratulation with the certification of the SF50. A great achievement of a fantastic team. The SF50 is truely the best airplane produced in general aviation. The SF50 is build and produced with truely vision and respect for the pilot and passanger. repect!!! This jet is the coolest thing since the tricycle gear!!! I’m 19 and working through the works and i dream of having this jet! if you ever need a test pilot let me know!!! Congratulations for sticking with your aviation passion and VISION! I like this aircraft too much. Known quality and safety, affordability and a fine edged sleek design. You hit the trifecta. Great job Cirrus!!! The jet was a dream/vision of Cirrus when the first SR-20’s were coming off the assembly line in the late 1990’s. My whole hearted congratulations to Dale and Pat and the entire dedicated team at Cirrus today for making this dream a reality. The Cirrus Vision is a fantastic aircraft! Cheers! Congratulations on Cirrus Vision SF50 Jet certification! Indeed, another new era in general aviation personal transportation has begun because of your leadership and commitment to innovation. We’re very proud of the team at Cirrus Aircraft. 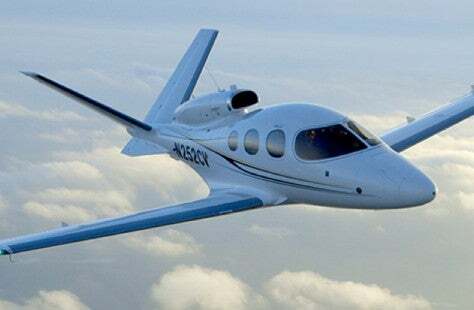 We’re cheering you on and writing our Cirrus Life story at http://www.wikiWings.com, which includes dreaming about a transition to the Cirrus Vision Jet. All the best – Blue sky! I want to extend my heartfelt congratulations to you and the entire Cirrus team for achieving the Vision certification milestone! This is arguably the single most important development in the history of Cirrus Aircraft and will kickstart an entire new chapter for the company. You must be very proud of your accomplishment and excited about the future!! I am looking forward to taking delivery of my Vision Jet in 2018. Congratulations to the entire Cirrus team for this amazing accomplishment! I have been flying for 43 years (since age 16) and have flown and instructed on numerous aircraft types including pistons, multi, jets and turboprops. The SR22 is the best GA piston aircraft by far in my mind and I’m a proud owner. I look forward to flying the SF50, I’m sure it’ll be a thrill. It’s a dream come true for me as well! Go Go Cirrus team! Excellent Job by Cirrus Team. The future is now. Having sat in a mock up the SF50 ,this jet is going to be absolutely groundbreaking.The pictures just don’t do justice to how large the hull is and the quality of the trim means Its nearest equivalent would be a high end Merc or BMW rather than a direct competitor.Others have tried and failed to fill this space in the market but as a SR22 pilot we all had confidence that if any company could deliver the Cirrus team would be it! Congratulations to Cirrus and its ambitious team. This aircraft will be a game changer! The Vision Jet is equipped with the newest and the best avionic. The safety standard is up to the highest, like a small Dreamliner. I am looking forward to fly the aircraft, which will transform personal air travel. There are really no words to express the excitement that the FAA certification has generated around the globe. I’ve been following the progress of the SF50 project since the very first day Cirrus announced this new revolutionary step in the aviation industry. I can’t believe that the day has come. Great great amazing job CIRRUS Team!!! Can’t wait to see the Vision flying in Europe!!! Congratulations to the entire Cirrus team! This aircraft will be a game changer and I can’t wait to see them at the airport. It’s a one of a kind platform and a great step up to the SR22. The single engine turboprop market just go some Cirrious competition! Admirable job guys, congrats, well done!!! When will the FIRST SF50 be available to the public ? The first Vision Jet was delivered this week! The production line is ramping up and we anticipate delivering 25-50 jets in 2017. Fantastic Jet. My congratulation to all the Cirrus team.